I don’t know about you guys, but school gets nuts! Being a teacher, I come home and still have grading to complete so it’s nice to have dinner mostly ready to go. Matt is in school and is constantly hungry when he gets home and we are just so busy that last year we would go out to eat almost 4 or 5 times a week to avoid tons of dishes and having to make dinner. As you know, that’s not so healthy and not very cost effective! We were spending way too much on food. 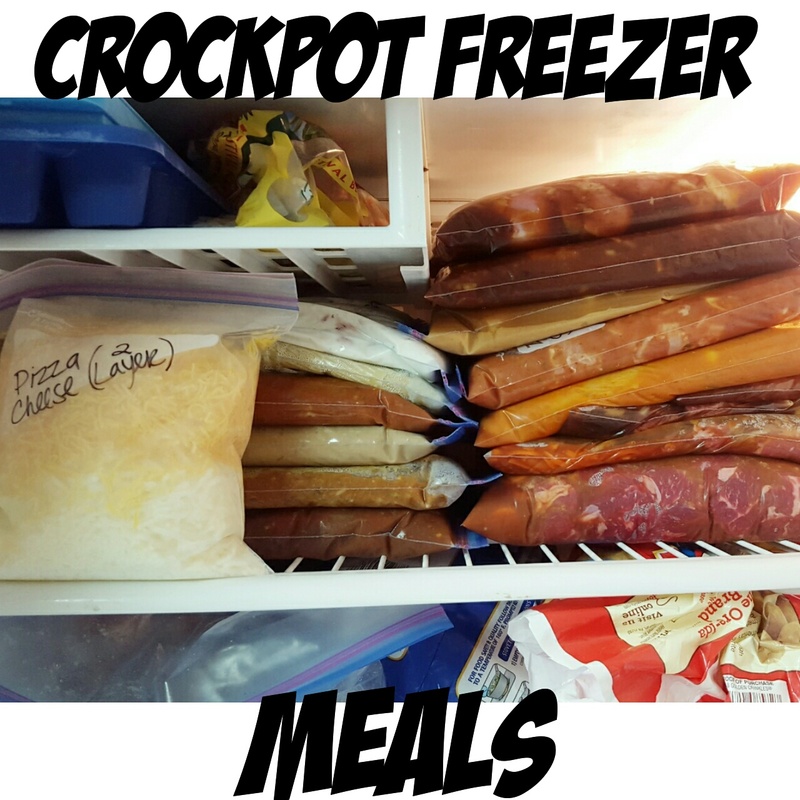 I came up with 15 simple crockpot freezer meals that are really good! When we went shopping we averaged it out and we spent about $13 per meal. Each meal feeds approximately 4 to 6 people, depending on age and what not! I thought that was a great price. This way Matt and I have leftovers for the next days lunch or for the weekend. We’ve been cooking them for about a week and a half now and it has been worth the time and effort I put in on the Saturday I did this. I spent about 2 hours shopping, all the meat at Costco and the rest at Walmart. Once I got home it took me about 2 and 1/2 hours to put the meals together. My plan is to post 3 recipes a day if you don’t want to do all 15 at once and then on Saturday I will post a shopping list for all 15 recipes so you can do what I did! These recipes below were awesome!! Give them a try!! chunks, so it fits into the crock easier. 3. Cook on low for 8-10 hours or high on 5-7 hours. 4. Remove the Roast and large chunks of onions if you have them, and shred in a separate bowl. I poured the drippings into a strainer to keep out the larger chunks, and have just the liquid to dip into. 1. Whisk together ingredients except the chicken. Dump into freezer bag, add chicken. 2. 6 hours on Low. If you cook too long it will get dry. 3. Serve with rice and veggies. Add fresh pineapple to the top, we think that would be a nice touch. ingredients in a a gallon size freezer bag and give it a shake to mix. hours or HIGH for 5-6 hours. Oh my goodness! 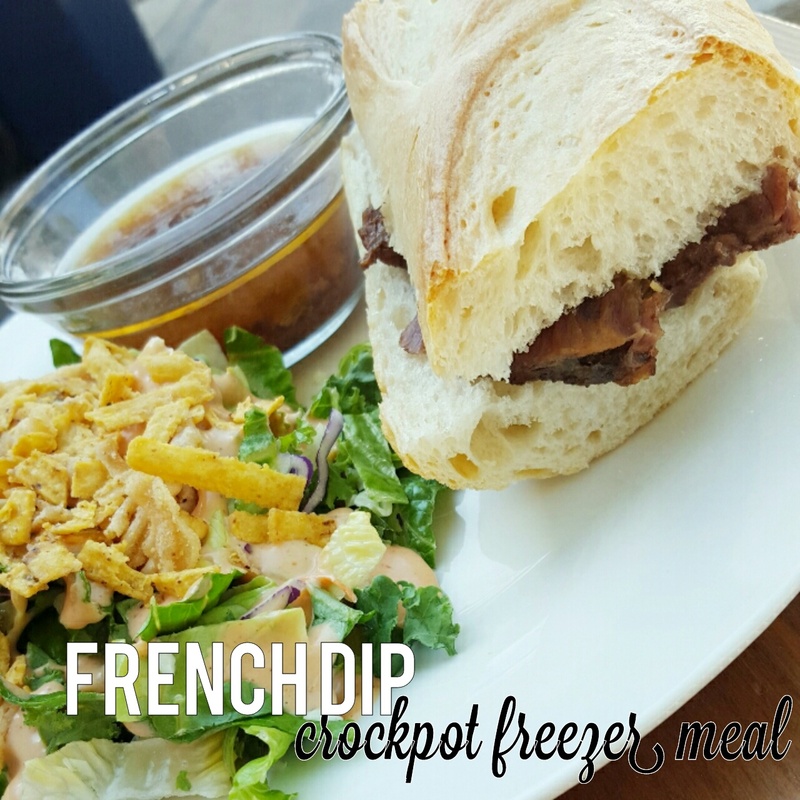 I love French Dip sandwiches (and beef stew and teriyaki chicken) so these recipes hit the mark. Thanks for sharing at #OMHGWW! Came over on Think Tank today, and I'm glad to find your site. Yummy, I can not wait to try out all of these recipes as it would give my son and I something healthy to eat. As my husband works nights and most of the time we just snack which isn't healthy. Plus it cost us more money. Pinned and shared. 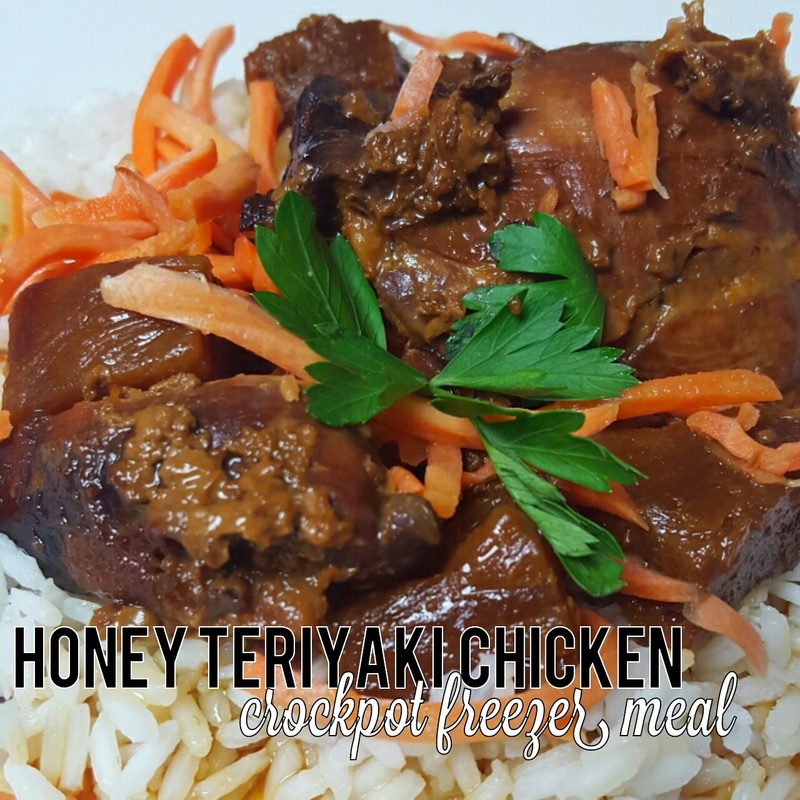 All these recipes sound delicious – especially the Teriyaki Chicken! Thank you for sharing with us at Hearth and Soul. These look great and easy. I will be giving them a try!! Thanks for joining us on Oh My Heartsie Girl Wordless Wednesday! Congratulations on being featured at Motivation Monday! I was just talking with a friend yesterday saying that I needed to find some good freezer meals. 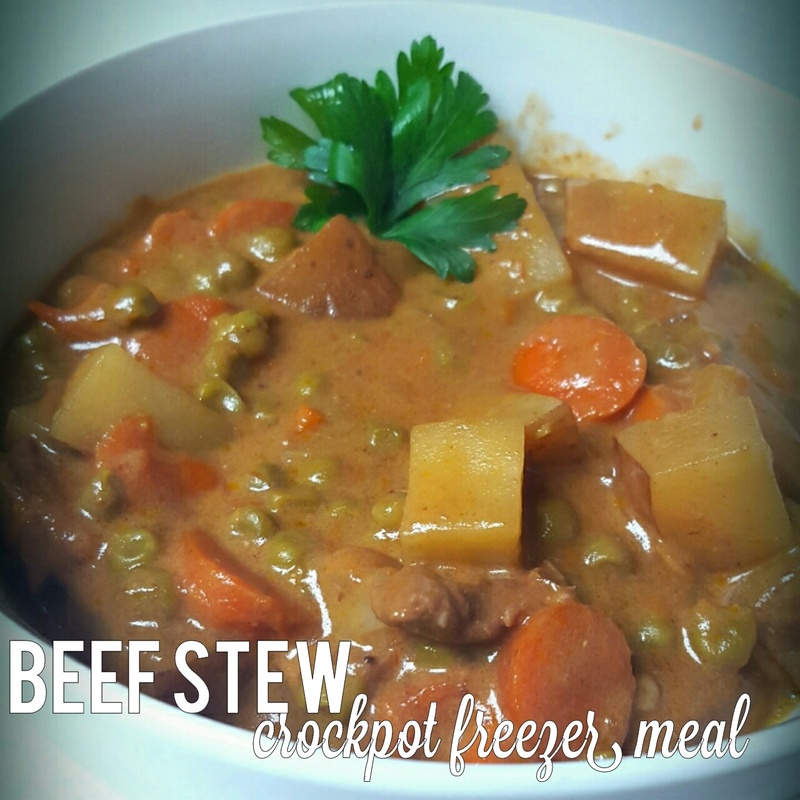 Thank you for sharing these tasty recipes!